Wednesday, April 24th 8:00 p.m. This is a seated tasting (after normal store hours) and space is limited 30 attendees. Hors d’oeuvres will accompany the tasting. Make your reservation today –stop in or call us at 919-615-1703. Please note that we will not be able to process any refunds for cancellations after 4/22/19. Special bottle pricing will be available for orders placed the day of this tasting. Born Vincent in Brooklyn, NY (yeah, not too much of a cliché, right?) 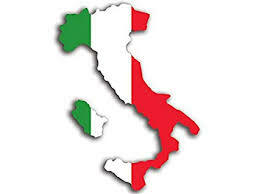 – he started out on Ernest & Julio jug Italian varietals before graduating to straw basket Chiantis. A third generation Italian with roots back to Napoli & Bari, Vinny has travelled much of Europe to refine his love of Italian (ok, and French) wines. After “retiring”, he’s come to join our staff at Bottlemixx and share his lifelong love of wine. Join us as we enjoy Spain with Sammy! Sammy with The Winebow Group will be here pouring a few great wines from Spain. For value and quality, Spain is producing some of the most exciting wines available and the Winebow Group has some excellent selections that we carry here at BottleMixx. And just like that, it’s May. Hopefully we are done with the pollen and the wild spring thunderstorms and maybe, just maybe, we can get some dry, sunny weekends so we can all be out and about! Speaking of which, we hope you are out and about for our First Friday wine tasting from 5:30 to 7:30 p.m.
Ronald and Vinny taste a lot of wines each week with our distributor partners - always looking for something new and exciting to put on our shelves. And when they find them, we like to have you try them at our First Friday Tastings. And better yet, we run these wines on sale for the whole month. Come and join us - try something new! It’s the Kentucky Derby and we’re having a potluck party! While Post Time for “The fastest two minutes in sports” is at 6:30 p.m. we’re going to start the festivities at 3:00 p.m.
BottleMixx will provide a free assortment of small snacks (chips, pretzels, nuts etc. ), soft drinks and bottled water, but we’d love for you to bring a dish to share! If you’d like to sign up to bring a dish, click here. Also happening today - the founders of Horball’s Drinking Vinegars will be here to experiment and create delicious recipes with their drinking vinegars (sorry but sans the liquor). • Adoptable dogs looking to visit with YOU! CHALLENGE: Let's break a record! We raised $47,000 in 2018. Can we raise $50,000 in 2019? We think so! We are closed today - we hope you make the best of the day - cheers! What’s a Sour Saturday you ask? Well, on Sour Saturdays we’ll have a flight offering of sour type beers available all day. Selections may include barrel or foeder aged sours, kettle sours, goses, Berliner Wiesse, Brett beers and others that may be just sour or funky enough to be included. What a great way to try beers from this unique category of beer…so pucker up and join us! About the brewery: “Grimm Artisanal Ales is a Brooklyn-based brewery founded in 2013 by Joe and Lauren Grimm after nearly a decade of tinkering with fermentation. Grimm specializes in concise, elegant ales epitomizing the creative, experimental spirit of the American artisanal beer revolution. With each limited edition release, we seek to push the boundaries of style and flavor in order to create beers with the utmost depth and complexity. For five years, Grimm operated as a nomadic brewery. Joe and Lauren would develop each recipe in the kitchen of their Gowanus apartment and travel to existing breweries near and far to craft their commercial beers. We invite you to join us for this Saturday afternoon wine sampling session! Our good friend Scott L. from Freedom Beverage will be here to share some new vintages of some wines we’ve carried in the past (like Greywacke Sauvignon Blanc and LaFage Rose) and we’ll Mixx in a few new selections as well. Come on by - it’s a great way to stay out of the yellow haze! Kick off your morning with some Founder’s Breakfast Stout - Kentucky Style! That’s right, Founders KBS will be on tap when we open at 10:00 a.m. until it’s gone. Yes, we will fill growlers (limit of one 32 ounce growler fill per customer). It’s “Highly Acclaimed” you know! April Showers bring May flowers as the saying goes. Maybe April showers came early this year - like in February and March. Just the other day, a customer said he didn’t know what all the fuss was about it raining so much… it only rained twice last month - once for eight days and once for five days…funny! It’s a big weekend (and into the first Monday) with the last of the basketball tournament. So this First Friday is a great way to come and taste 5 wines new to BottleMixx and take some home for the weekend - or all month long! We hope you can join us - it’s always a fun crowd! Come and get game ready and enjoy some fine ales from Tobacco Wood Brewing Company! Join us for some Thursday social time! Join us as we welcome Andy Woolgar, the US Ambassador for Rickety Bridge Winery here at BottleMixx for a Thursday evening wine tasting. Established in 1797, the winery is located in the beautiful Franschhoek appellation, South Africa and is known for producing some of the finest Cabernet Sauvignon, Merlot, Shiraz, Chardonnay, Sauvignon Blanc, Chenin Blanc and Semillon varietals. 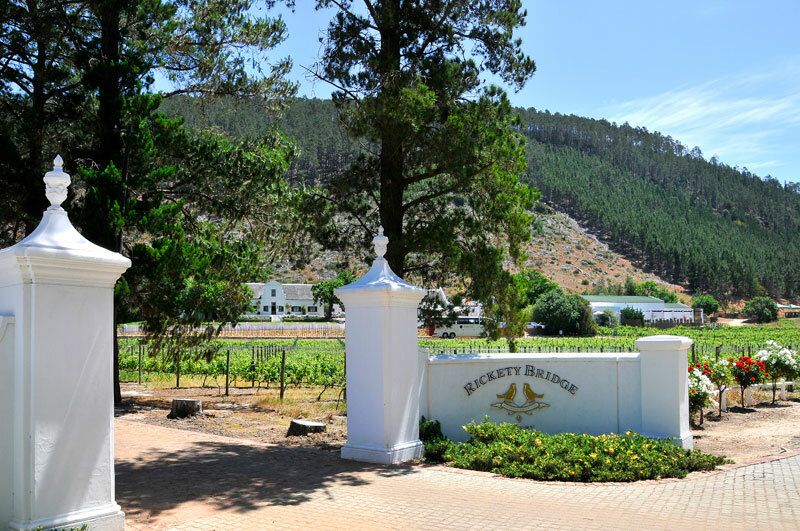 The Franschhoek wine estate, Rickety Bridge, has a winemaking history dating back to the 17th century. It was once part of the original La Provence farm granted to the first French Huguenots who settled in Oliphantshoek (Elephants Corner) and renamed the area, Franschhoek, or ‘French Corner’. Over the years La Provence was subdivided and in 1797 the land which is now known as Rickety Bridge wine estate was granted to the widow, Paulina De Villiers, and she planted the first vines there. Join Giovanna from SourGrapes as we explore more great wines from the guys at Omen Winery. We’ll be trying their new chardonnay, cabernet sauvignon, and pinot noir. As they say on their website-”We may not be able to tell you if a cat crossing your path is good luck or bad, but we can tell you one thing with certainty. We see great wine in your future! OMEN wines are hand-crafted with care from high-quality fruit that comes from “hidden gem” AVA vineyards.” Come and join us!!! We are excited to welcome Avery Carson from J. Lohr Vineyards and Winery here at BottleMixx for a Tasting on Tuesday Night wine tasting! This is a free tasting and we invite you to join us. Avery is the North Carolina & Tennessee Area Manager for J. Lohr and oversees sales for both on and off premise markets. She works with her distributor and retail partners to share the J. Lohr story. Avery too, shares the passion of Jerry Lohr and his vision for wine, which she will enthusiastically tell you. Tournament time is almost here! Whether your team made it to the big dance or not, we guarantee you’ll have fun playing in our bracket challenge and watching some games here at BottleMixx! Rather than give away one prize to the overall winner, we will be awarding gift cards for each round of the tournament! Just like the points awarded per round, the gift card values will increase with each round as well. The overall champion will be awarded a BottleMixx gift basket that we’re going to load up with all kinds of goodies and swag! The challenge is free to enter, limit one bracket per guest. Must be 21 to play. The tournament tips off at noon on Thursday 3/21. The official BottleMixx bracket MUST be picked up BottleMixx. Sit down and have a pint or a glass of wine and fill it out. Can’t hang out for long? No worries! Take the bracket home with you and fill it out. Be sure to return it to us at BottleMixx by Wednesday night though! Brackets will NOT be accepted after the close of business, 8:00pm Wednesday 3/20. We will have brackets at BottleMixx on display that we will update throughout the tournament with the advancing teams and the prize winners of each round. Since this is a community event, we ask that those participating in the bracket challenge please come to BottleMixx to review your score and claim your prize. As fond as we are of you, we can’t field phone calls all day to update you on your current standing! We will contact the winner(s) of each round to let you know you have a prize waiting for you. Want to score along at home? It’s easy! We’re using a “non-traditional” points system to dial back the chance of multiple ties after the Second Round. Correct guesses in the first round are worth 1 point each, the second round is 3 points, the regional rounds are 6 and 10 points, the Final Four is 15 points, and 20 points for each team that makes it to the Championship game. 25 points will be awarded to those who pick the National Champion. We will be using this exact formula for our “Master” bracket here at BottleMixx. We will provide 2 brackets for you when you enter the challenge; one for our records, and the other for you to keep and score at home. Don’t worry. There will be no shenanigans with the scoring. If Jameson were allowed to participate he’d be walking away with these prizes anyway. If we have multiple ties at the end of the First and Second Rounds we will award up to FIVE $5 gift cards. If there are more than five players tied, we’re just going to keep it simple and draw names from a hat to determine the five winners of those two rounds. When you fill out your bracket please be sure to include your name, phone number, and email address. Also, for the championship game, you will need to include a score for each team and total of these scores. This will serve as a tie breaker if need be. Whoever’s point total is closest to the actual score of the game (without going over it) will be declared the winner. Gift cards will be available for pick up the day AFTER each round ends. The $5 and $10 gift cards have sales tax included if you would rather use it for our draft beer! Start to get ready for spring!!! We’ve been working diligently to find a couple of new friends for your spring evenings and, the best news, we found them! Our pal Nate will be here pouring these great wines that we are sure you’ll enjoy. He’ll be here from 3-6 pm expertly guiding us through these wines with a bit of fun thrown in. There will be a $5 tasting fee for this event, but spend $25 and get your $5 back - it’s almost like we validate! BARREL AGED IMPERIUM GETS TAPPED! Jess Petrosky from Highland Brewing Company (Asheville, NC) is coming by to help us tap and enjoy the super limited Barrel Aged Imperium Imperial Stout. Surely not a beer to be missed. Come and spend this Friday with friends! Coming in like a lion! It’s First Friday and time to taste five new wines that Ronald and Vinny have deemed must haves for the store! WHITE RUSSIANS WITH SOUTHERN PINES BREWING CO.
Jamie Doom, our awesome brewery rep from Southern Pines Brewing Company will be here starting at 5:00 to celebrate the tapping of this limited release Imperial Stout with us! Join us for some good fun and great beer! Ricky from D9 Brewing (Lake Norman, NC) will be here guiding us through flights of four different D9 sour beers. Each beer will be 6 ounces served in tulip glassware and are $12 + tax. Flight Presentation will be every 20 – 30 minutes. D9 Brewing Company, in Lake Norman, N.C., was started by two engineers and a doctor, with a mission to inspire and support community through the creation of exciting and original crafted ales. Since our inception in late 2014, we have invested in the scientific exploration of the natural world to produce the highest quality, and unquestionably original, crafted ales. D9 Brewing is striving to become the leading producer of mixed wild fermented beer in the southeastern United States, and has been awarded multiple prestigious medals in the sour and mixed-wild categories at the Great American Beer Festival (2016/2018). Mark your calendar to join us for the 300th episode of Tales From The Cask being recorded live at BottleMixx! We’ll have some special beers on tap, light snacks and a great group of awesome local craft beer industry folks stopping in to celebrate this milestone. Check out the Tales From The Cask website here or download the podcast on iTunes, Stitcher - you’ll be glad you did! Yes, we know it’s Valentine’s day so some of you may have to make a very tough decision! At 5:30 we’ll tap Sexual Chocolate Bourbon Barrel Aged Imperial Coffee Stout (2018) from Foothills Brewing Co. and when it’s done, it’s done! As it happens, the east coast sales team from Rogue Ales is in town and they are “popping in” At The Mixx doing what they do! Come join us from 5-7 and sample and drink some Rogue Ales and maybe pick up some free swag! BatSquatch – Hazy India Pale Ale- Dedicated to the legend! Dead Guy Ale – German Style Maibock – A nod to Flagship February! PAWS & POURS - A WINE TASTING EVENT ! Tickets are just $25 per person and 100% of all ticket sales go to the animals! If you’re looking for a unique Valentine’s date, a fine new wine to savor, or even just a fun and interesting activity, Paws & Pours is the way to go! Come and meet some of our adoptable animals while enjoying some light hors d'oeuvres (while they last). A big thank you to Jared from Johnson Brothers-Mutual Distributing and BottleMixx for donating the wine so all the ticket sales dollars go to the animals. Can’t arrive at 3:00 or stay until 6:00? No worries–this 3-hour window allows you to come whenever you want. Enjoyed the wines from the tasting? Then be sure to take some home! The featured wines will be discounted all day. You’ll receive 10% off single bottles, 15% off 6 or more bottles, and 20% off 12 or more bottles. What a GREAT deal! we will be so busy space will be limited. MODERN TIMES BEER ON TAP! FIRST TIME ON TAP AT THE MIXX! Come on out and drink some awesome beer from Modern Times Beer! We’ll have 3 selections on tap from this iconic San Diego, CA brewery. The beers will be on tap at 5:00 pm! For a little more info on Modern Times Beer, click here. Lorea Amatria with Lan Wines will be here pouring 3 selections from their collection. We'll be sampling their Santiago Ruiz Albarino, Crianza, and Reserva. These three choices, all from Rioja, will be wonderful expressions of the region. Come and join us after work next Thursday and take a quick trip to Spain, if only in a glass! CHEATERS NEVER WIN LIVE PODCAST HERE AT THE MIXX! If you like talking about the Carolina Hurricanes, you’ve probably listened to the the Cheaters Never Win podcast hosted by Derek and Mike! And even if you haven’t, we invite you to join us on Saturday, Feb 2nd as we host the guys for their second LIVE podcast here at BottleMixx as they talk all things Hurricanes! Like last year, we’ll have great guests along with raffles for Section 328 merchandise and swag and two BottleMixx Gift Cards! Last year our event raised $1,000 for the (then) Kids ‘N Community Foundation and we’d like to beat that number this year! Or you can click here to find out more about Section 328 and / or subscribe to the podcast. Welcome to February - a short month but packed with a lot of happenings! For us, we start the month with our First Friday Wine Tasting! Ronald and Vinny work hard to find new and interesting wines for us to have available. We open up these bottles on the first Friday of every month for you to try and better yet, we have these on sale all month long! So stop in and taste some great new additions to our wine selections! Holy cow - it’s already been a year since we did our Winter Cab Fest back in January of 2018. It was a heck of a fun day for tasting and buying cabs! Time flies as they say. So here we are and like last January, we are tasting six domestic Cabernet Sauvignons that retail for under $25 a bottle. We’ll include the top seller from last year’s tasting along with new selections that will make it onto our shelves. We’ll see which comes out on top this year! Join us from 3:00 to 6:00 p.m. for this free tasting! In celebration of Beer Can Appreciation Day, we're giving away free can coozies to help you protect and keep cold your cans of beer! No purchase necessary and available only while supplies last! One per customer and you must be 21 years of age to enter our store unless accompanied by a parent or legal guardian. Click here for a little history of beer sold in cans! Join us at the Mixx as Patrick with Fine Wine Trading Co. introduces us to some of the wines from Dashe Cellars. Each of these 5 wines will be unique, interesting, and fun to sample. It’ll be so much fun you’ll have trouble deciding which one to take home with you! Heck-why pick? Get one of each!!! See you then! Come out and be social with Woody from Ponysaurus Brewing Co. (Durham, NC) as he describes exactly what a Ponysaurus is! (He may or may not have actual photos of Ponysaur-i). Then sample and drink some Ponysaurus Beer. Then buy some to take home! Ponysaurus Brewing Co. is a forward-thinking, backward-tasting brewery, creating beers that are meant to be savored, appreciated, contemplated, philosophized, studied, nuzzled, and mindfully guzzled. AT THE MIXX FOR THE FIRST TIME! Come check out some great beers from Edward Teach Brewing of Wilmington, NC! Kim, Zach and Allan from the brewery will be here with beer samples, a PIRATE TRIVIA GAME and some swag! Join us and come be social At The Mixx!